Just like the fruit, peach sapphires have a luscious color available in many hues and is a delicate, stunning stone for any piece of jewelry. Peach sapphires hold a very special place within the category of unique and rare sapphires. They are sometimes categorized as orange, sometimes pink, and sometimes even considered to be padparadschas. 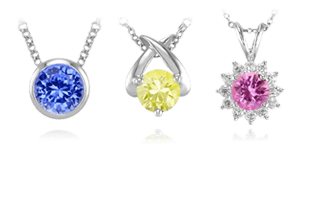 But there is indeed a range of color blends that create a peach sapphire, including hues of orange, gold, pink, and yellow. These sapphires are just stunning to behold, and with the golden elements that most contain, all skin tones can wear this earthy color, and it catches the reflection of the sun unlike any other color. Peach sapphires may be the answer you are looking for in 2019 trends! 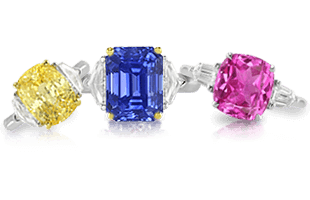 Colored gemstones are only continuing to massively increase in popularity, and peach sapphire engagement rings are likely to be at the head of the pack. Subtle pastel-colored colored gemstones are very popular, and peach is a gorgeous shade that might be perfect for someone who does not want the price tag of a padparadscha sapphire, but also does not want the saturated color of an orange sapphire either. 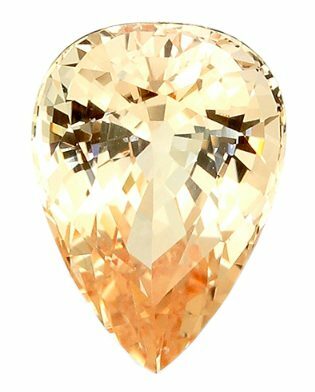 A golden peach sapphire in a pear cut. These sapphires are named after the color of the exterior surface of the fruit of the same name, and are similar in color to the skin of an apricot. The stones are much paler than the fruits themselves; light and bright in tone. These pastel beauties are quite rare and prized for their color range that complements many skin tones and works well with all metals. 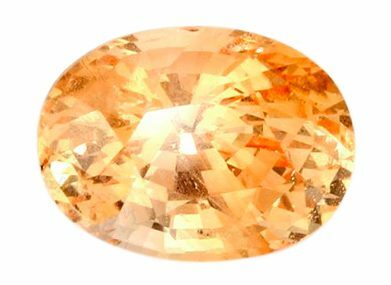 These stones are a perfect alternative to the popular morganite, which exhibits a peach color, but lacks the shine and sparkle of a sapphire, is always treated, and is much softer than a sapphire leading to the likelihood of the stone cracking or scratching easily. An oval peach sapphire ring with a pave diamond band. Clarity is a very important element for peach sapphires, as the light tones of pastel shades easily reveal inclusions . Any presence of cloudiness can dull the color and brilliance of the stone. 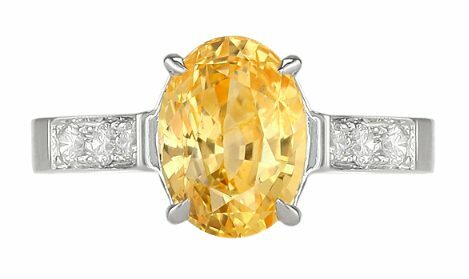 In 2019, with the return to yellow gold as a metal of choice, peach sapphire rings and engagement rings will look absolutely stunning in the warmer yellow gold metal that will help to enhance so many of peach sapphire’s natural golden tones. 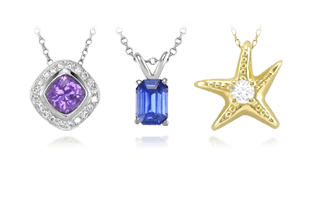 Also, these gemstones have such sparkle and shine that they are perfectly suited to another top 2019 trend: the halo setting. Such a soft, lovely color, peach sapphires are beautifully enhanced by a shining halo of diamonds, every time. 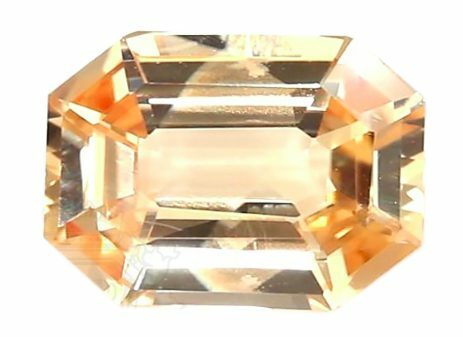 An emerald cut peach sapphire with golden hues. The only real difference between a peach sapphire and a padparadscha sapphire is saturation of color – peaches are generally lighter in tone. However, just like the padparadscha, they are often elusive to find in larger sizes. Most of the gem-quality, larger sized peach sapphires are found in Sri Lanka and Madagascar, with others being found in Tanzania. 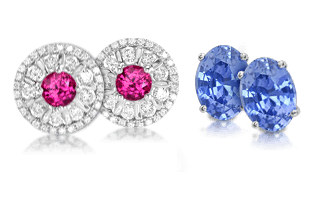 Next up as we continue exploring these special colors of sapphires is Purplish-Pink Sapphires.